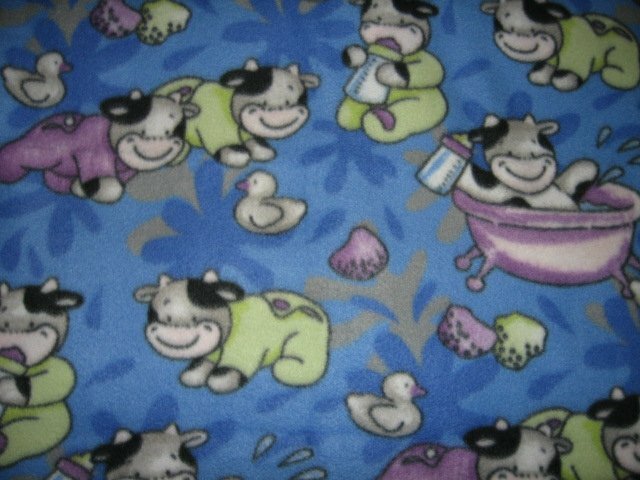 This is a new, handmade, very soft, anti-pill fleece baby blanket. Very soft, machine wash and dry. 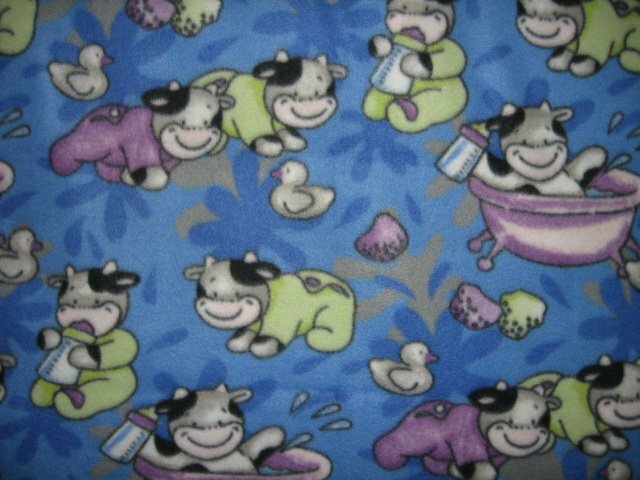 It depicts cute baby cows in bath tub, drinking from baby bottle. This blanket can be used for extra warmth in a car seat, or for tummy time, or after a bath. It is a wonderful cuddly soft drag along blanket to comfort your child at Day Care. The blanket measures approximately 29"X36".